Major General Peter Gatdet Yaka Majiek Gok – AKA Judi-Iraq was born in 1962 in Mayom county, Unity state, South Sudan. Gen. Gatdet Yaka started his military career in 1980 when he was only 18 years old in Khartoum, Sudan. In the same year of 1980 during the second ruling term of the former President Late Gaafar Muhammad Nimeiry, Gen. Gatdet was deployed to Iraq to fight Iran-Iraq war. Gatdet did not last for so long, he was sent back to Sudan in 1983 before the end of the Gulf war in August 1988. The well trained Maj. General who is popularly known for combat proficiency is also expert in persuading techniques, consequently Gen. Gatdet officially switched sides seven times from the period he joined the Southern struggle to the independency. As you have read the brief introduction of yourself now you ought to understand that being one of the brave sons of Liech State does not entail you the architect of frequent bloodshed occurring in your clan, tribe, state or your country. The elders of Bentiu Community in Arab Republic of Egypt have been distantly observing your activities since you join the People’s struggle in 1985. From the time you join the Southern movement until today you have switch sides seven times, below are briefed details of the community’s findings. 1)	In 1991, during the war of ideology you waited for two years before you join Dr. Machar in Nasir, that was 1993. 2)	In 1997, you breakaway from South Sudan Independence Movement / Army (SSIM/A) Under Dr. Machar and joined South Sudan Unity Movement / Army (SSUM/A) under late Gen. Paulino Matip Nhial. 3)	In 1999, you defected from (SSUM/A) and you joined Sudan’s People Liberation Movement / Army (SPLM/A) under late Dr. John Garang De Mabior. 4)	In 2003, you deserted the SPLM/A to SSUM/A. 5)	In 2004, you left SSUM/A and returned to SPLM/A. 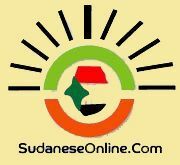 6)	In 2011, you abandoned SPLM/A and you joined Sudan Armed Forces (SAF) in Khartoum, Sudan. 7)	At the same year of 2011, you forsaken President Bashir and returned to SPLM/A Juba, South Sudan. Finally emerge the December 15th /2013, Nuer Genocide; an event that has killed tens of thousands and displaced over two million people in South Sudan in less than two years. Dear Gen. Gatdet Yaka, what have you achieved from these seven defections rather than obtaining the name War-Lord? What have you brought to the people of Liech State apart from destruction and displacement? At the age of 53, what else do you think you will execute if you deserted the cause of December 15th /2013? The people of Liech state were never please of your leadership style until you justified it in December 19th /2013 when you fired the first trigger in support of justice to the murderers of your people in Juba. You have proven the nature of the previous quotation you made during the funeral of our late son Gen. Paulino Matip Nhial when you said; “I will never ever allow anyone to oppress you as long as I live”. You cautiously demonstrated how you were going to take over the duties of our late Gen. Paulino Matip Nhial in Nuer Land and in whole South Sudan’s territory. We cannot forget you saying “I would be the first to die in defense of my people’s pride and dignity. I, Gen. Peter Gatdet Yaka would prefer to die first before any enemy get to kill any South Sudanese. I would fire my Ak-47 until to the last bullet to defend any threat to Nuer and would pour my blood for Liech tree to remain green, alive and vigorous”. Dear Gen. Gatdet Yaka, recalling those quotations alone will bring you back to your sense; we cannot believe you have forgotten the cause that took you to the bush. Just for the record, we went to the bush to jointly resist an enemy who want to kill any Nuer General, Soldier, Politician, Student, Social worker, Elder and Youngster. Therefore, you must stop mobilizing Liech against Liech, Nuer against Nuer or South Sudanese against fellow South Sudanese. We do not want to fight the war of 1997-1999 when politicians and field commanders turned Dok-Bentiu against Bul-Bentiu, we repeat, we do not want to see Bul-Kech fighting their fellow clan’s mate Bul-Gok, it is now time to fight our common enemy. We, the people of Bentiu Community Association in Arab Republic of Egypt will not tolerate any move that will cause divisions in the people’s movement as well as amongst the deprived Nuer People. We reiterate our dedication and devotion to the people’s movement under the leadership of the able Dr. Riek Machar Teny Dhurgon and Major General Simon Gatwech Dual whom we shared with the pain of December 15th /2013, Nuer Genocide. It was Dr. Machar who was chosen to lead the oppressed South Sudanese to compensation and removal of the self-claim President Salva Kiir Mayardit; we will not spare anybody who will fail to corporate with us. We will condemn and disown anyone who will claim superiority; we will criticize leaders who will disregard our demands and we will dismantle any individual or organization who will try to divide us. We had been divided enough, now comes a time when we shall all be called Nuer and South Sudanese. Dear Gen. Gatdet Yaka, the Community’s leadership in Egypt strongly urges you to take a bold step toward reconciling with the movement’s leadership. 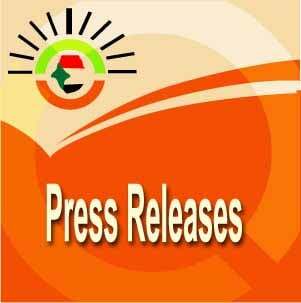 You alone will not implement our demand to remove Salva Kiir unless you are together with your brothers in Pagak. The proverb clearly stated that “Strength without Wisdom is a waste”. We advise you to go back to your December 15th /2013 team to resume your duties. Teamwork creates higher quality outcomes that are more efficient, thoughtful, and effective as well as faster. Lastly, we would like to remain you of those who have chosen to follow their personal interest, these are; Matthew Puljang, Manytuil’s family, Lul Ruei Kong, Riek Gai Kok and others, they have been fighting us for two years now but they did not managed to tore our unity or weaken our military, political, or media activities because we have God on our side. We are fighting for our existence while others are fighting to satisfy their personal interest – No man is created to be a slave to another’s man. 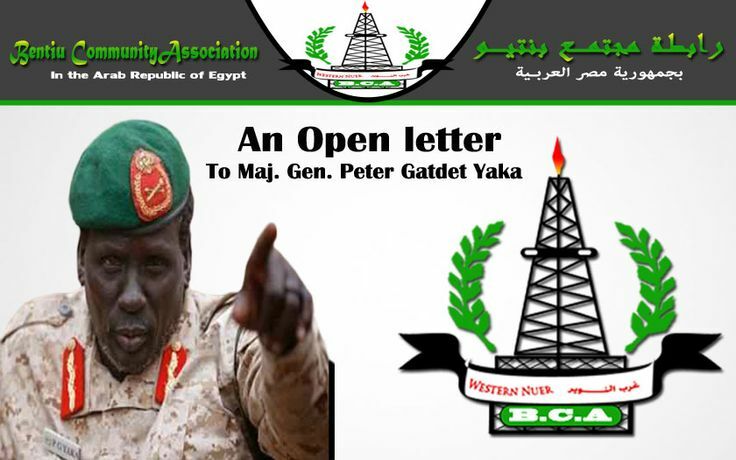 Dear Gen. Gatdet Yaka we, the people of your soil Liech state, where you were born and left your childhood are writing this letter in protest of your defection from Sudan’s People Liberation Movement / Army in Opposition (SPLM/A-IO). We are writing to advise you to overcome your ego in order for you to step forward and resume your service, for we deserve to be happy and proud of our brave son just like any other state or country that produced a hero to the world. Thank you very much for your wide understanding; we will be waiting for the pleasant action you will take.